10. The F4F Wildcat by Jamie Rothwell. The Wildcat, since we posted it on Parkjets, has become one of the most popular downloads on the site. And we would like to note that it's not really a parkjet at all, but rather a really great simple design of a great war bird from decades ago. Still, the Wildcat is an excellent build and excellent design that you will find easy to fly and easy to assemble. 9. The F-14 by MDC. The F-14 design has been popular on Parkjets from the beginning. The Steve Shumate designed plane really broke the ground and when the F-14 was retired from service, it really boosted downloads. 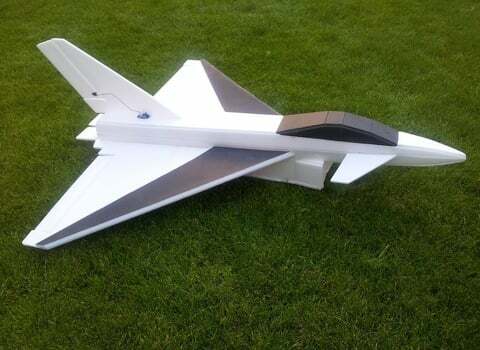 The MDC F-14, with its simpler profile build design, along with keeping the ability to swing the wings keeps it a popular download on parkjets. It will challenge you with cutting out all the depron pieces, and it will challenge you RC building skills, but it will be well worth it. Give it a shot. 8. The Hydro. The Hydro offers a lot of fun for folks looking to venture into boats but still want to incorporate flight into their weekend hobby activities. The Hydro combines the look and feel of a racing boat with the ability to lift off the water and fly around. It remains a popular download and is downloaded from all across the globe. 7. The SU-37 by Steve Shumate. Did you see our interview with Mr. Shumate? That's a shameless plug. But if you pull out the SU-37 from your car or truck at the flying field, you won't feel any shame. Just a steady gathering of gawkers, looking at the best example of simple design and complicated finishing touches like dual thrust vectoring. Throw on a custom formed canopy from 6mmFlyRC and you will have one sweet looking build. And it will fly great too. The SU-37 is a very stable RC airplane. 6. F-35 by RC Cal. We have said this many times, but the F-35 is one of the best design platforms for a typical RC parkjet. The large delta wings, the large control surfaces on the tail make it very easy to throw around. So we have the F-35 by RC Cal at the #6 spot. Simple design, very easy to put together, very easy to fly. What more do you want in an parkjet? 5. SU-31 by Tomas Hellberg. The SU-31 is an excellent, elligant, and easy to build design, and you would expect nothing less from the designer, Tomas Hellberg. The SU-31 is a great park flyer or 3D flyer and with a few modifications, you can strap just about any motor you have laying around on the front of it. 4. SU-37 by Jamie Rothwell. The SU-37 by Jamie Rothwell is a hybrid (in terms of ease of construction and scaleness) between the more complicated builds like the Steve Shumate SU-37 and the Tomas Hellberg SU-37. The Rothwell design incorporates a unique score and fold method to give the full fuse look without all the hastle. And the SU-37 is an excellent platform for park flying, so this design is a great option for those wanting a full fuse look, but don't want to spend a lot of time building. 3. F-15 by Jamie Rothwell. 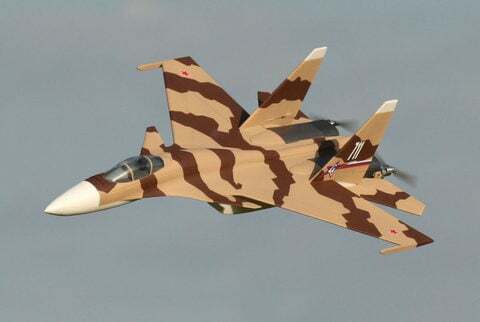 The F-15 is pretty similar to the SU-37, except that it is of course an American fighter. But the same easy construction techniques and same great scale looks apply to the F-15. The F-15 is a great performing parkjet and is a stable flyer. 2. Eurofighter by Jamie Rothwell. The Eurofighter by Jamie Rothwell is a great addition to any fleet. The general platform of the Eurofighter makes it a great parkflyer, large wings, big vertical stabilizer and good wing loading make it a perfect way to get your power gear up in the air. Give the Eurofighter a try. 1. F-22 by Steve Shumate. The undisputed king of Parkjets, the F-22 by Steve Shumate. The plans are some of the more complicated to build, but once you finish it off, you will have a tremendously scale RC park flyer. The F-22 features thrust vectoring and excellent scale lines. You won't believe you can achieve a look with just depron foam, time and effort. But you can. The F-22 stays on top another month! Next month we will see how things shake out. We added four new plans to the Free Plans catalog and plan on adding about four more free RC airplane plans in November. That will bring our total close to 120 totally free plane plans! Thank you to everyone for your continued support!